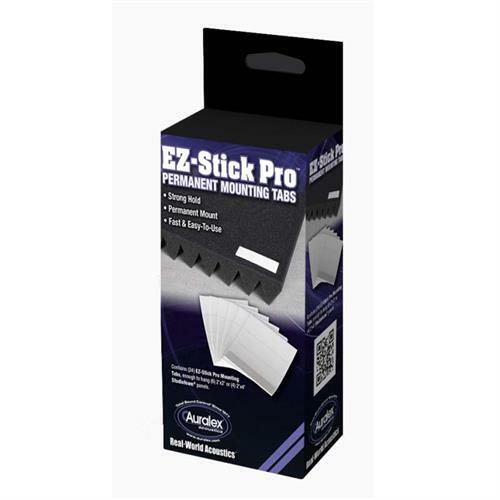 More on the Auralex EZ Stick Pro-Tabs Adhesive Mounting Strips (Case of 15 boxes) EZSTICKPRO_MSTR below. Ideal for walls, ceilings, and for other permanent installations, the EZ-Stick Pro mounting tabs adhesive strips have a cure time of less than five minutes. 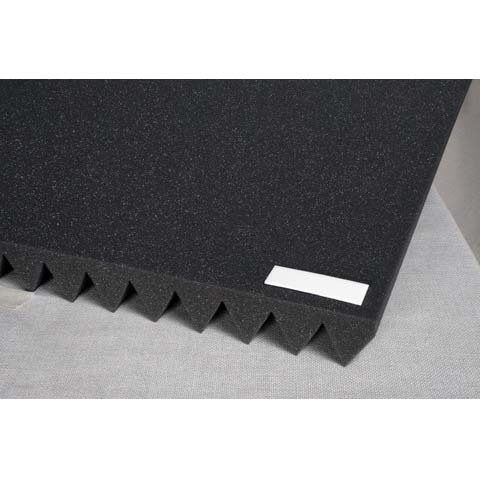 They are compatible with most Auralex products and affix your acoustic treatment to walls and ceilings quickly and efficiently. 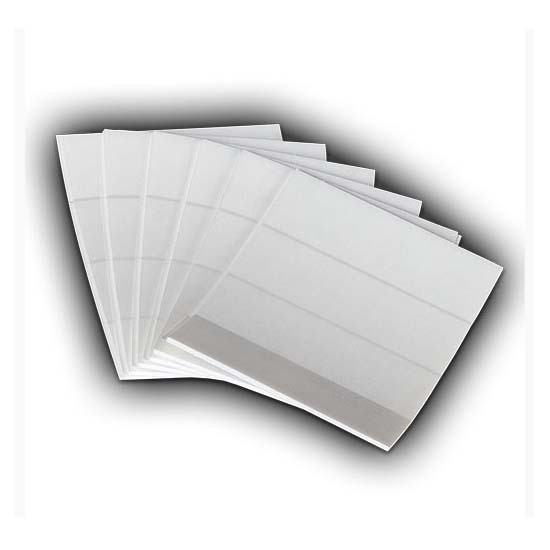 Includes 15 boxes of 24 mounting tabs, for a total of 360 tabs. No additional application tools required. Also available as a single box (see related products below). 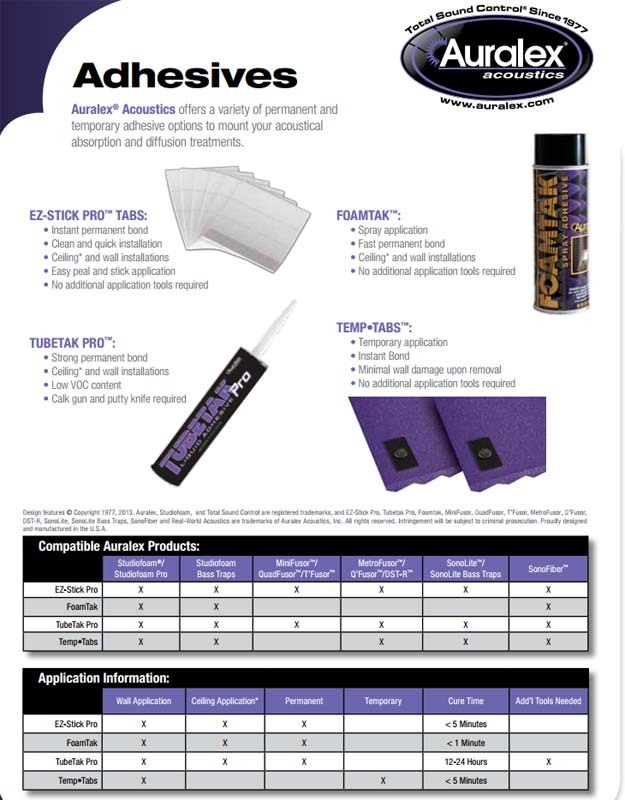 Need help choosing the right adhesive product for your installation? 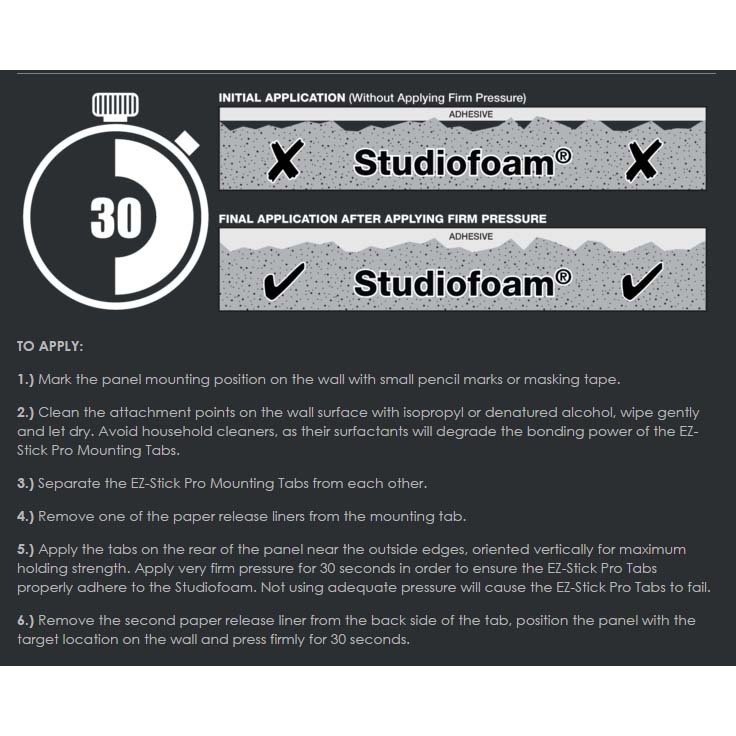 Click here for the Studiofoam Adhesives User Guide.